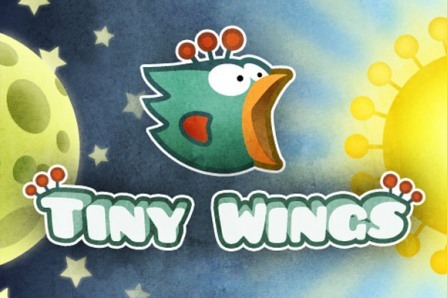 Tiny Wings Bounce you play as the bird who cant fly because he is too fat. However press anywhere on the lower and middle of screen and he can bounce.Collect yellow coins to add time on the timer , collect blue coins to add double yellow coins time to the timer. Windows mobile WVGA 800x480 resolution. For smooth performance turn off othe running apps. Highscore save to challenge yourself over and over. Background color changes to reflect time is running out. If you collect a yellow coin , tap again to do double and triple jumps.